The CPAP or Continuous Positive Airway Pressure and Zyppah work in different ways to prevent you from snoring. A CPAP is a machine with a pump that uses air pressure to keep your throat clear and stop snoring. 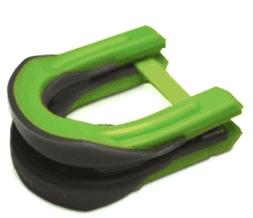 Zyppah is a hybrid MAD (mandibular advancement device) that pushes your jaw forward and keeps your tongue from blocking your airway passages. 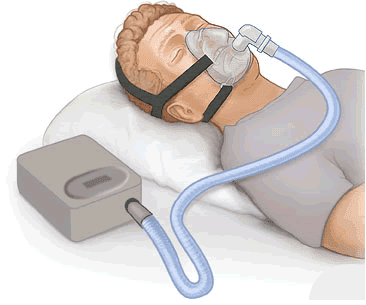 The CPAP requires power, a nasal or full-face mask and possibly other attachments. These machines cost on average over $800. Most MADs cost around $100 or less. The CPAP will stop snoring. The Zyppah and other MAD and TRDs have a good success rate also. The cost and the care required if you use a CPAP drive many to attempt a less costly and easier-to-maintain alternative such as the Zyppah. 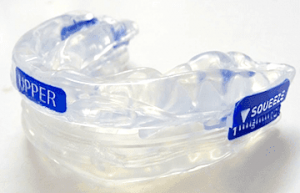 The two types of anti-snoring methods used by the Zyppah made it an excellent option for me. The MAD feature keeps the lower jaw pushed forward and the TRD feature stabilizes your tongue, ensuring that your airway remains clear. You can order the Zyppah online. It is FDA (Food and Drug Administration) approved and the company manufactures them in the United States. The ordering and shipping process for the Zyppah took about three days. We ordered two, one for me and one for my wife. The box included detailed fitting instructions. We followed the directions carefully, adjusting the device and using the boil and bite.Both of us had slightly sore mouths after the first night of wearing the Zyppah. The soreness disappeared though within a few days. We both awoke refreshed and my son said he heard no snoring coming from our room.Cleaning the one-piece unit was a matter of putting it in a glass of warm water along with a denture cleaning-type tablet. There was no scrubbing or brushing required, as there were no nooks or crannies requiring special care.After the two week trial, my wife and I agreed that the Zyppah did what it advertised it would do and kept us from snoring. CPAPs consist of several parts including the mask, tubing, filters and the machine or pump. You plug in the machine (some portables offer a battery power option), slip the mask over your head and adjust the straps and nasal plugs and turn it on. Cleaning requires disassembly and washing of each part with warm, soapy water at least once a week. You must have a prescription in order to buy a CPAP. You are supposed to have a sleep study done at a doctor’s office in order to determine the correct pressure settings. You can get around this by completing an online questionnaire, then waiting for a contracted MD to review the answers and write the prescription. It takes about a week to receive the prescription by mail. Once you receive the doctor’s approval, you have to provide a copy of the prescription whenever you are ready to purchase your machine. You do not need a prescription to purchase any components such as additional tubing, filters or masks. You may need to buy a CPAP humidifier as often users find that the pressurized air is too dry. Cleaning requires much more work than a MAD or TRD. You will have to take the tubing apart, remove the filter and mask and clean each piece separately using soap and water. The instructions suggest you clean the parts at least once a week but many find that to ensure a germ-free unit that you must clean it daily. The machine itself does not require any maintenance other than wiping down the outside occasionally. When fitted and adjusted correctly, using a CPAP virtually ensures that you will not snore. The Zyppah and a CPAP fit comfortably and can adapt to any size mouth or face. Some report that the noise, however slight, of the CPAP disturbs either the wearer or the person’s sleep partner.The disassembly of the CPAP for cleaning and the various moving parts makes a CPAP a bit more complicated to use on a daily basis.Many health insurance plans will help defray the high costs of purchasing a CPAP.If you suffer from severe sleep apnea, then getting assessed by a doctor and using a CPAP makes sense.If you or your spouse snores, but there is no medical condition like sleep apnea associated with your snoring, then the Zyppah is likely a better option. Make sure to get a Zyppah discount when purchasing.